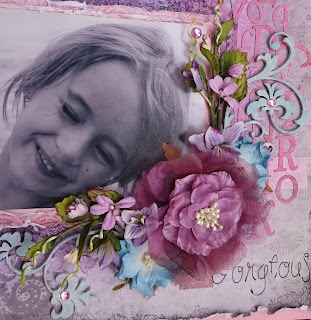 WOW - I love how you have used the mini flourishes to make the circle frame ! Oh my goodness - that vine circle is so clever! I love it! Thanks for playing along at The Dusty Attic. So very dreamy and beautiful!! Love love how you created a perfect wreath!! 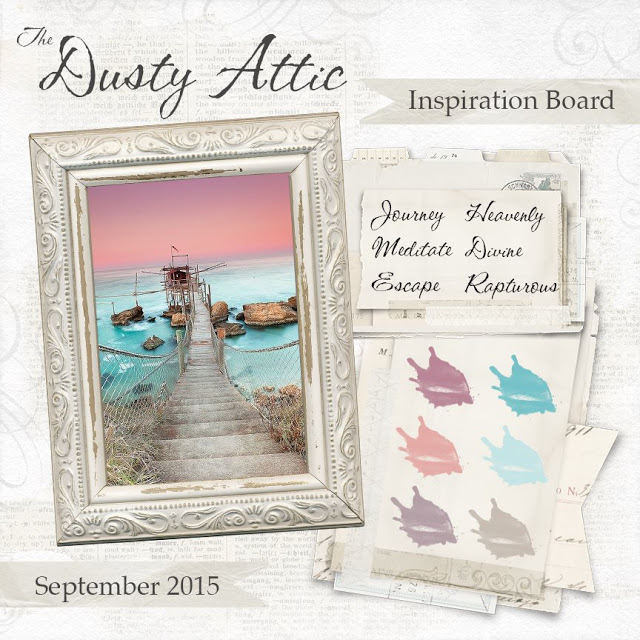 Thank You for joining us at Dusty Attic for the Mood Board Challenge!! Simply STUNNING! Just adore how you've used the colours and that pretty circle...gorgeous! 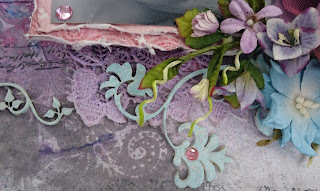 And yes, Life should let you scrap more often, for sure!!! 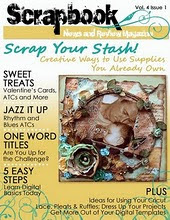 THanks for sharing with us at Dusty Attic this month!!! Its such a beauty! 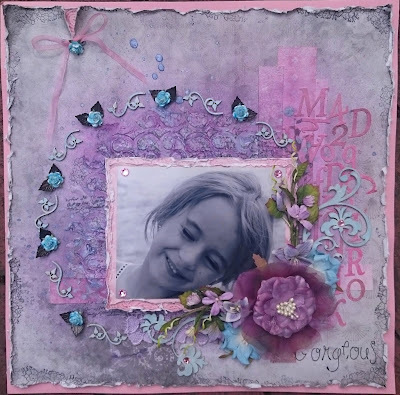 Love the romantic mood of this LO and you used the colors s beautifully together! Thank you SO much for playing with Dusty Attic this month! Lovely use of different Dusty Chipboard pieces...great use to decorate your pretty photo! Thank you so much for playing along with us this month!